Current economic uncertainty does not appear to have had a significant impact on historic car auctions, according to Dorset Vintage and Classic Auctions. The company made these comments after a recent sale at the Gartell Light Railway in South Somerset attracted some 800 visitors. 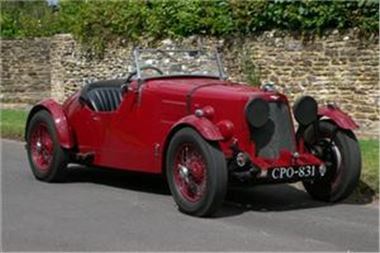 Among the vehicles snapped up by bidders was a 1937 Aston Martin 15/98 Sports which sold for £55,000. Meanwhile a 1948 Rover 75 P3 fetched £9,350 and a 1930 Humber 16/50 Tourer went for £15,950. The motorcycles on display also proved popular with a 1966 Lambretta Li 150 making £1,485. People considering buying a car from a vintage auction may be interested to hear the company is due to hold another sale at the end of March next year. In related motoring news, the Evening Standard recently reported a sale in London at the end of the month would see the Ferrari driven by Cameron Diaz in Charlie's Angels: Full Throttle go under the hammer.